Spectacular freeride tours along the cliffs of Zion National Park in Utah – on the rear wheel of former world champion Gee Atherton. Sold out. Interested in this trip? We are happy to contact you as soon as this trip is available for 2020. 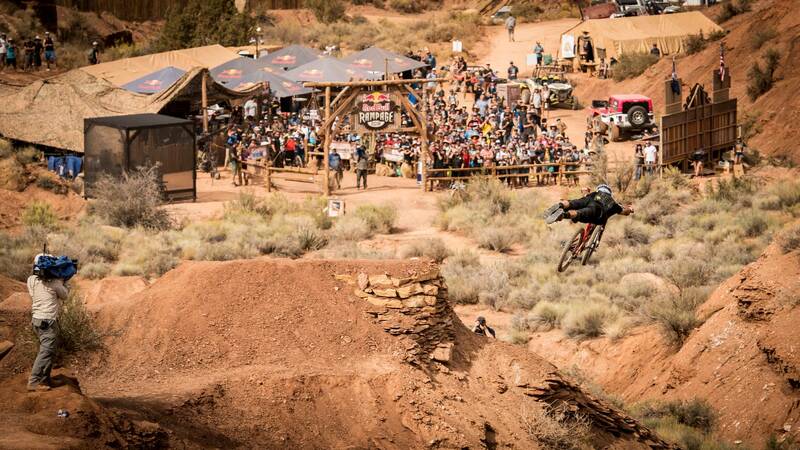 This trip is legendary on every level: Red Bull Rampage is the toughest contest in freeride mountain biking. Gee Atherton has been a star in the scene for years and took second place in Utah in 2010. The Brit races through bizarre canyons with four selected guests and takes them behind the scenes of this radical event – after all, rampage doesn't mean riot for nothing. Two extensive freeride tours with Gee Atherton as coach and tons of insider info. 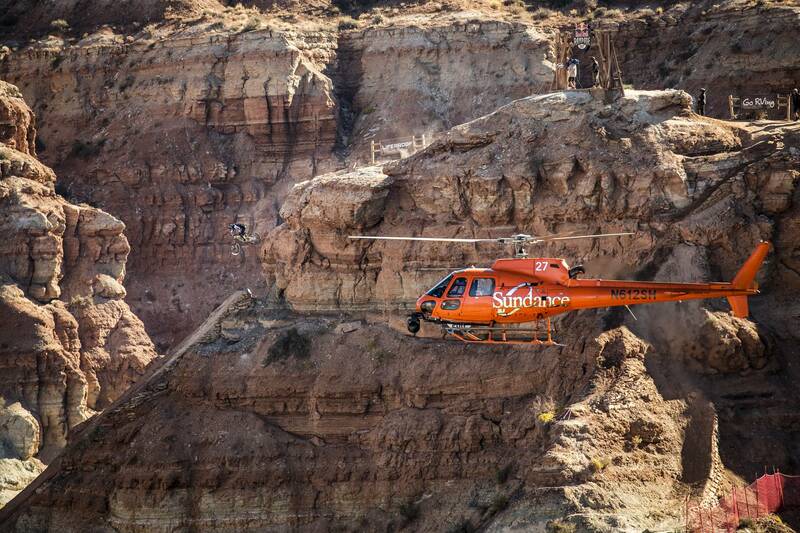 Observe the building crews with Gee, as they prepare the site for Red Bull Rampage. Watch the contest itself from the exclusive on-site VIP area. Cosy get-together with the freeride stars at a dinner and after-party. Helicopter flight over the event area. A special photographer documents the whole trip and films short videos too. Five nights at the "Hampton Inn", the best location in Zion National Park. One night in Las Vegas at the popular "The Wynn" hotel. "Zion National Park is an absolute paradise for freeriders. It's rare to find spots where so many technically challenging trails await action-hungry mountain bikers." 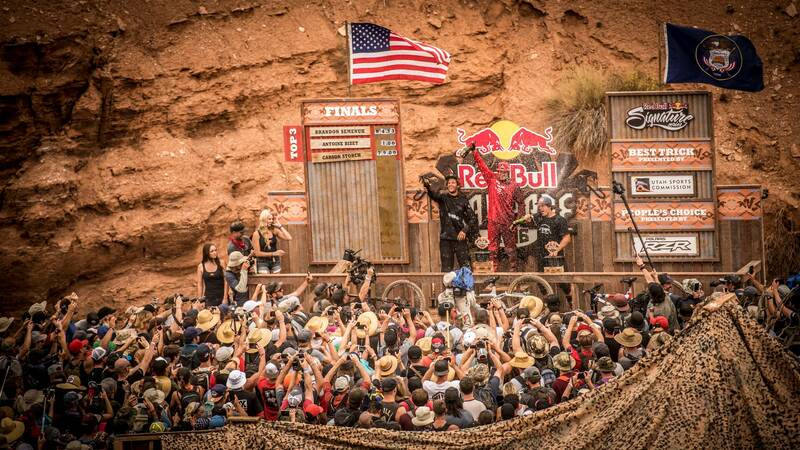 "Red Bull Rampage is the mother of all freeride contests. I give my guests a really close look and show them how brutal the contest really is." 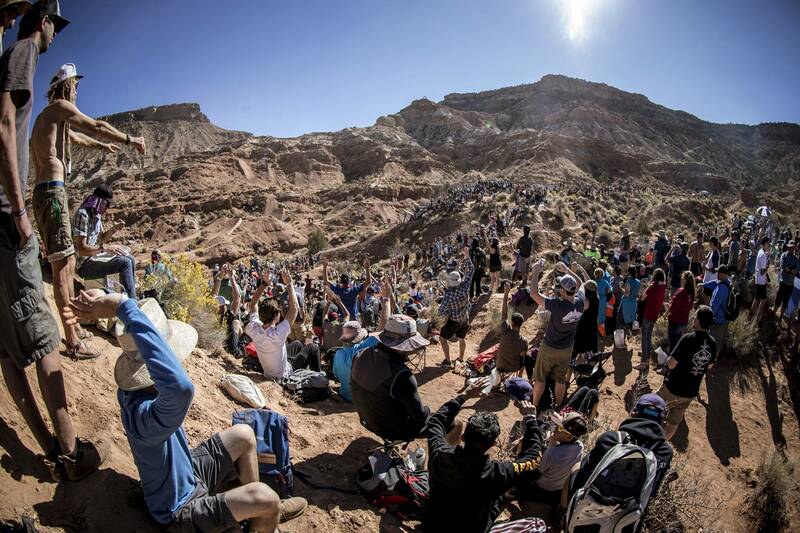 Great atmosphere at Red Bull Rampage in Zion National Park in Utah. On board a helicopter, guests get very close to the action. Goosebumps are guaranteed on the most dangerous trail in the world. 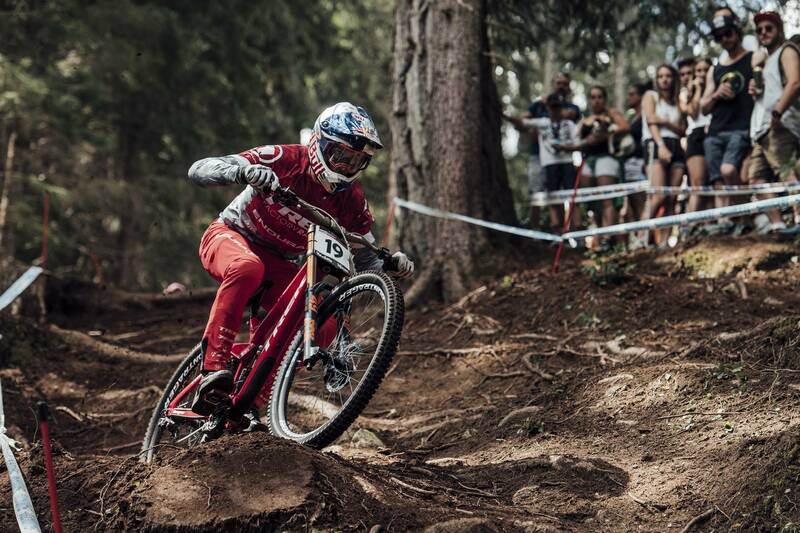 The guide: Gee Atherton is one of the world's best mountain bikers. A comfortable shuttle service takes guests to the event location. There's even a little bit of dust upon arrival. From the exclusive VIP area, guests have the best view of the track. After the award ceremony, there's dinner and an after-party. Zion National Park is a paradise for action-hungry mountain bikers. 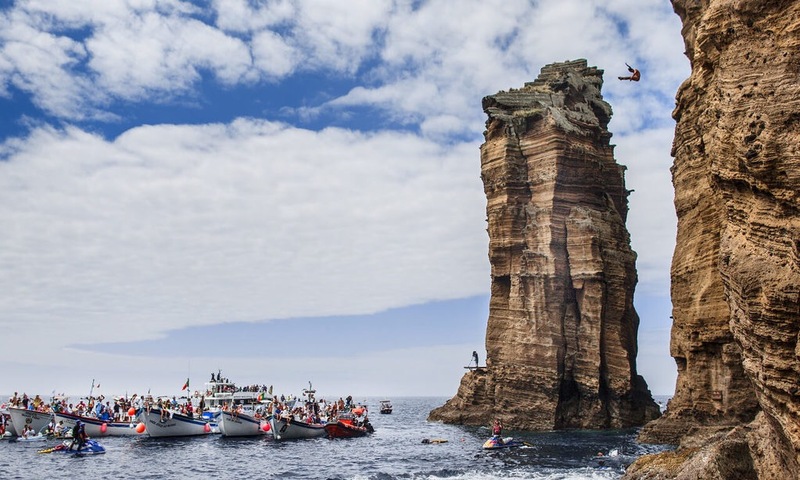 Sitting on the rocks and enjoying the athletes' incredible tricks. Turn the world on its head with the best break-dancers on the planet! 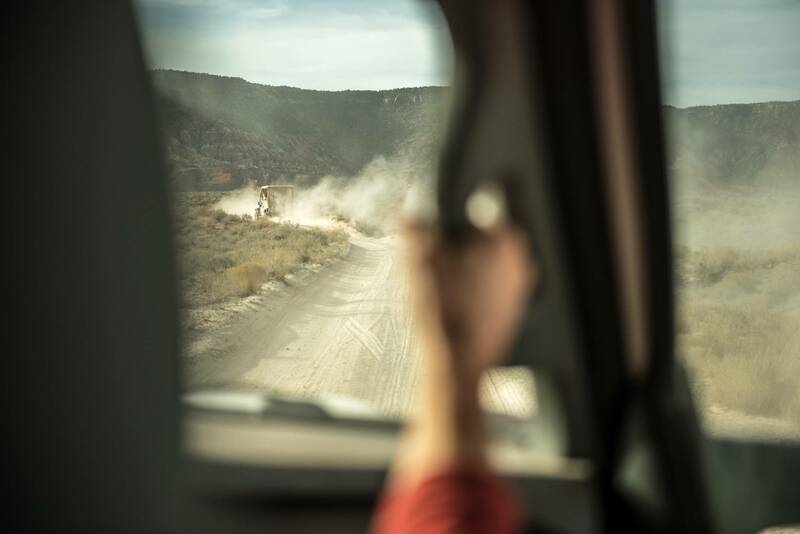 Off Road’n’Roll with the Dakar champ Matthias Walkner! Please notify me as soon as this trip is available again. Arrival at the "Desert Pearl Inn", which lies directly at the Virgin river and is framed by copper-red rocks. The wonderful resort serves as retreat and feel-good oasis for the next five days. In the morning, Gee Atherton takes his guests on the first freeride tour through the breathtaking landscape of Zion National Park. They can bring their own gear or rent it on site. Prerequisites are good mountain biking skills and sufficient protective equipment (at least a full-face helmet). We need to ask guests to bring their own protective equipment. 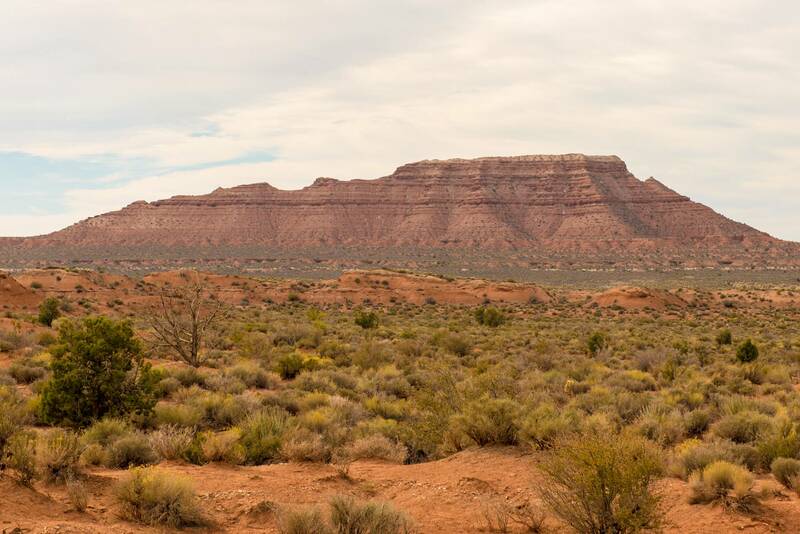 In the afternoon, they explore the contest area and the beautiful desert-like surroundings on a helicopter flight – which includes a stop on a mountain top for pictures. 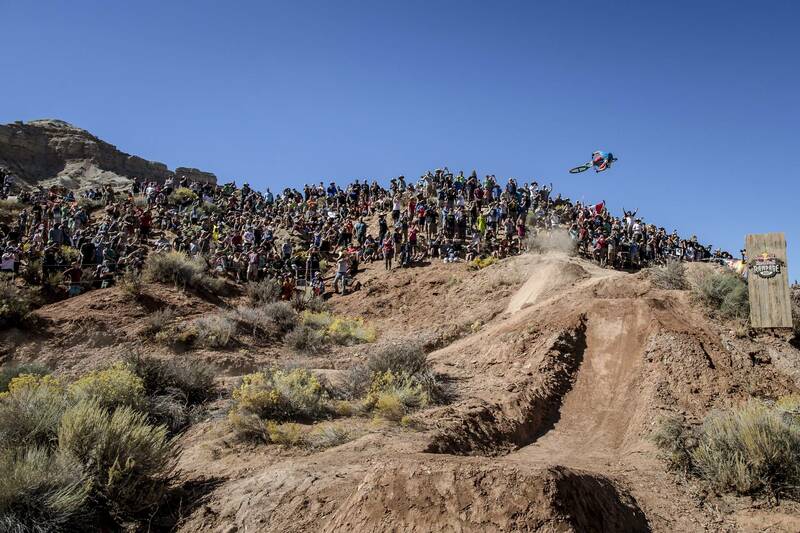 Together with Gee, guests enter the Red Bull Rampage site, where the trails and jumps are still being built. They can casually talk to the athletes and the crew members and get some expert tips. Afterwards, the second freeride tour with the two-time downhill world champion awaits, where the adrenaline levels reach considerably bigger heights. 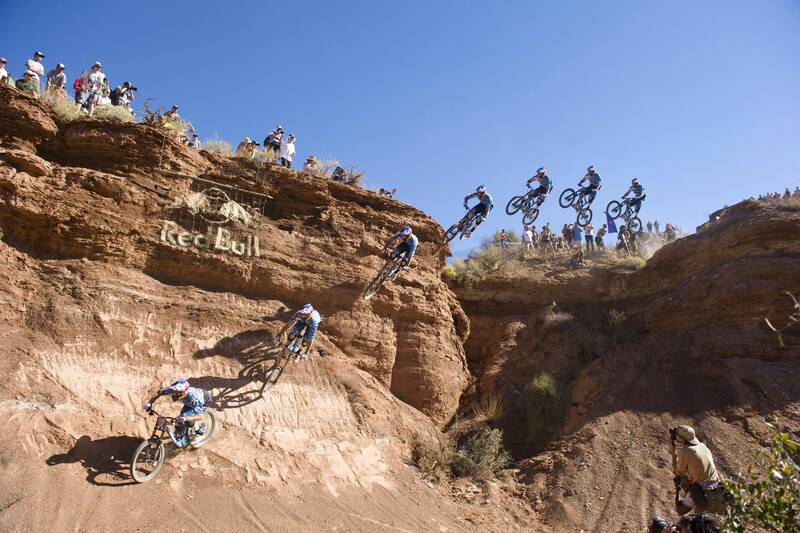 In the evening, there's dinner with the Red Bull Rampage athletes. 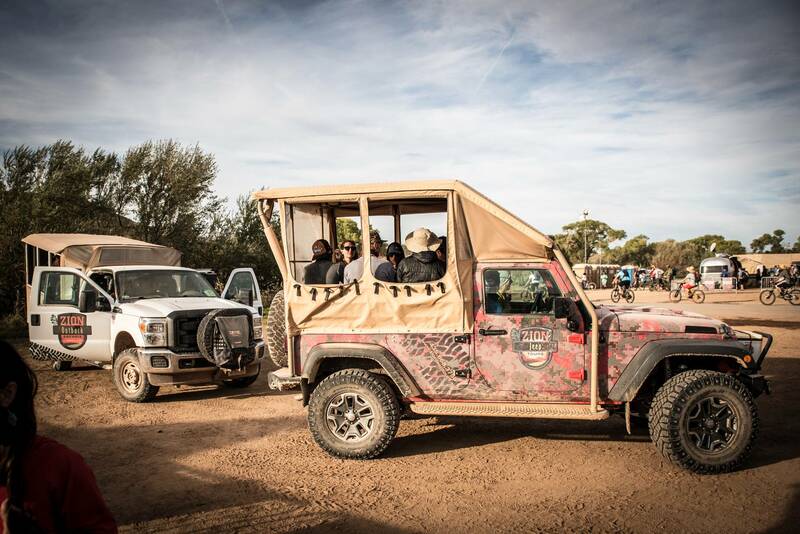 The morning is at the guests' own disposal with the option of a jeep tour or a hike through the national park. After noon, the Qualifying round for the race takes place – which the guests watch from the VIP area. Guests spend the race day at the very heart of the action as well. From their exclusive seats, they are offered the unique experience to watch the wild rides and manoeuvres up close. Finally, in the evening, they get to celebrate with all the stars from the freeride scene at the after-party. Transfer to Las Vegas, where a night in the ultramodern and super stylish "The Wynn" is planned. After a hearty breakfast in Vegas, the journey home begins.